Is the Christmas Tree Witchcraft? Witchcraft is still witchcraft even if you don’t know it’s witchcraft. Our intentions or opinions don’t alter the facts; what was once witchcraft is still witchcraft. That’s why the “schemes” of the devil are called deceptions, people don’t know they are being deceived. 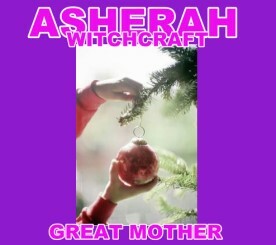 Asherah is mentioned in Scripture in many places, translated as “groves” (1Kings 18:19) in the KJV. In one instance there were 450 priests of Baal, and 400 priests of Asherah slain by AliYahu (Elijah). The object representing Asherah was an upright wooden item taken from the forest and decorated (YirmeYahu/Jer. 10). It has been adapted in various pagan cultures and as a May Pole with ribbons and dancing. Is it still witchcraft if we use trees and wreaths, as long as we ignore their origins? The attempt to merge different practices, reconcile opposing principles, or unite contradictory beliefs. A good example is fusing pagan symbols and practices of Druids with Christianity (like Halloween). Rome was especially good at syncretism. The golden calf was syncretism, and unknowingly to the masses, every single aspect and practice of Christianity was adopted from a pagan source. Crosses, steeples, Christmas trees, wreaths, rabbits, eggs, genuflecting, vestments, holy water, scapulars, stoles, mitres, the augural staff or bishop’s crosier, indoor altars, vigil lamps, processions, statue veneration, relics, and every “holy day” stems from pagan behavior, not Scripture (even Sun-day, Christmas, and Easter). Halloween is not the only witchcraft practiced openly by Christians – everything else they do is also witchcraft.